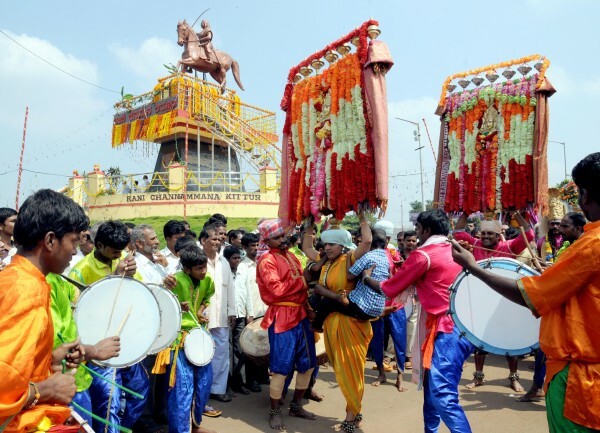 The three-day Kittur Utsav took off on an enthusiastic note with a large number of admirers of Kittur Rani Channamma, the queen of the erstwhile princely state of Kittur in north Karnataka who rebelled against the British Empire in 1824. Her rebellion against the foreign rule is being celebrated as ‘Vijayothsava’ by the State Government every year. Artistes representing different folk arts danced to the tune of loud music.